ABIDJAN, Côte d’Ivoire, December 17, 2013/African Press Organization (APO)/ – IFC, a member of the World Bank Group, has committed a $2 million trade finance guarantee to Bank of Africa Côte d’Ivoire and signed an agreement to provide the bank with advisory services to help it increase lending to smaller businesses in the country. IFC’s support for BOACI will help hundreds of the bank’s small business clients gain financing to engage in cross-border trade, or to take loans to buy equipment or material for expansion. IFC’s advisory support program aims to help BOACI grow its portfolio of small business loans by 20 percent by 2016. IFC’s one-year advisory support program is specifically designed to help BOACI improve its market knowledge of the SME sector, roll out an SME strategy, and improve its risk management framework. IFC will also train about sixty BOACI staff on risk management and working with SMEs. The $2 million trade finance facility, provided by IFC’s Global Trade Finance Program, will allow BOACI to establish working partnerships with a number of major international and regional confirming banks in the program, strengthening regional trade. Although Côte d’Ivoire is one of the strongest and most diversified economies in West Africa, its smaller businesses still struggle to obtain the financing and support they need to expand or take on more employees. IFC’s partnership with BOACI is part of its broader strategy to help Côte d’Ivoire’s smaller businesses more easily obtain financing and access training opportunities. IFC is also supporting growth in Côte d’Ivoire’s power, tourism, and agribusiness sectors and, with the World Bank, is advising the country on investment climate reforms. NAIROBI, Kenya, November 20, 2013/African Press Organization (APO)/ –African countries have enormous potential for trade with the global market and for more intensive trade among themselves. Regional trade in Africa can play a vital role in diversifying economies and reducing dependence on the export of a few mineral products, in delivering food and energy security, in generating jobs for the increasing numbers of young people, and in alleviating poverty and promoting a shared prosperity. The new volume—Women and Trade in Africa: Realizing the Potential—demonstrates how women play a key role in trade in Africa and will be essential to Africa’s success in exploiting its trade potential. Women make a major contribution to trade in most African countries through their involvement in the production of tradable goods as cross-border traders and as managers and owners of firms involved in trade. The main messages from the volume call for Governments to recognize the role that women play in trade and ensure this is communicated to officials at all levels; Government should ensure that the rules and regulations governing trade are clear, transparent and widely available at the border. It is important to simplify documents and regulatory requirements where possible. In addition, it is essential to design interventions to develop trade in ways that ensure that women benefit. Governments and donors are making concerted efforts to facilitate trade, to increase productivity in export-oriented sectors, and to improve competitiveness. But these need to be better targeted to ensure that women who participate in trade are reached by these interventions and that it is not just men who benefit. Finally, help women address the risks they face in their trade-related activities given that they are typically more risk averse than men and respond to risk in different ways. In many countries in Africa, the majority of small farmers are women, and they produce crops such as maize, cassava, cotton, and rice that have enormous potential for increased trade between African countries and with the global market. Women are also involved in providing services across borders, such as education, health, and professional services, including accountancy and legal services. Hundreds of thousands of women cross borders in Africa every day to deliver goods from areas where they are relatively cheap to areas in which they are in shorter supply. However, Africa’s trade potential is undermined by constraints that women face. The contribution of women to trade is much less than it could be because of various specific nontariff barriers that impinge particularly heavily on the trade activities of women and women-owned enterprises. These barriers often push women traders and producers into the informal economy where lack of access to finance, information, and networks jeopardize their capacity to grow and develop their business. In its goal to ensure the equitable distribution of the benefits of integration, and specifically to empower women traders, TradeMark East Africa’s Private Sector and Civil Society Program facilitates programming to increase awareness of the challenges of informal cross border traders and build up knowledge and advocacy for a better trading environment. Yet, policy makers typically overlook women’s contribution to trade and the challenges they face. This neglect reflects, in part, the lack of data and information on women and trade in Africa and also the underrepresentation of small traders and rural producers in trade and trade policy discussions. This volume looks at the ways that women participate in trade in Africa, the constraints they face, and the impact of those constraints. NEW YORK, November 13, 2013/African Press Organization (APO)/ –United Nations Secretary-General Ban Ki-moon arrived in Niamey, from Mali early in the morning of Wednesday, 6 November. This was the second leg of a four-country joint visit to the Sahel region with the Chairperson of the African Union Commission, Dr. Nkosazana Dlamini Zuma; the President of the World Bank, Jim Yong Kim; the Commissioner for Development of the European Union, Andris Piebalgs; and the President of the African Development Bank, Donald Kaberuka. After attending a State lunch hosted by the Government, the Secretary-General met in the afternoon with the Speaker of the National Assembly, Hama Amadou, and then addressed a plenary session of the National Assembly. He told the Parliamentarians that the United Nations was in the country to help Niger in its efforts to achieve the Millennium Development Goals and underlined Niger’s role in addressing the challenges of the Sahel. He also offered his condolences to the families of the migrants who died in the Sahara a few days before, saying we must bring their traffickers to justice and address the problems that pushed them to leave. The Secretary-General left Niamey, Niger, for Ouagadougou, Burkina Faso, the third leg of his trip to the Sahel, in the early evening of 6 November. NEW YORK, November 13, 2013/African Press Organization (APO)/ –United Nations Secretary-General Ban Ki-moon arrived in Ouagadougou, Burkina Faso, from Niger, on Wednesday evening, 6 November. This was the third leg of a four-country joint visit of the Sahel region with the Chairperson of the African Union Commission, Dr. Nkosazana Dlamini Zuma; the President of the World Bank, Jim Yong Kim; the Commissioner for Development of the European Union, Andris Piebalgs; and the President of the African Development Bank, Donald Kaberuka. Shortly after his arrival, he attended a state dinner at the Presidential Palace hosted by the President of Burkina Faso, Blaise Compaoré. The Secretary-General then held a meeting with President Compaoré in which they discussed, amongst other subjects, Burkina Faso’s progress in achieving the Millennium Development Goals, as well as regional efforts to address the serious security, humanitarian and development challenges facing the Sahel. Before departing Ouagadougou, the Secretary-General held a press briefing. He said Burkina Faso was an active player in the Sahel region and underlined its role in forging solutions to the many challenges facing the Sahel and West Africa. He said it was essential to work together to find solutions to the problems of the Sahel. The Secretary-General left Ouagadougou, Burkina Faso, for N’Djamena, Chad, at midday on 7 November. NEW YORK, – UN Secretary-General Ban Ki-moon opened a High-Level Dialogue on International Migration and Development at the UN General Assembly on Thursday by outlining an eight-point agenda to “make migration work” for the world’s 232 million migrants, as well as their countries of origin and destination. The meeting brings together migration experts and delegates from 150 countries to discuss ways to support the developmental benefits of international migration while reducing its economic and social costs. Ban described migration as “a fundamental part of our globalized world” and “an expression of the human aspiration for dignity, safety and a better future”. His eight-point agenda included ending the exploitation of migrants, addressing the plight of stranded migrants, improving public perceptions of migrants and protecting their human rights. The opening of the meeting coincided with news that more than 100 migrants had lost their lives after the boat they were travelling on caught fire and sank just off the coast of the southern Italian island of Lampedusa. The boat was carrying an estimated 500 passengers, many of them believed to be Eritreans, from Libya. The UN Refugee Agency (UNHCR) reported that 150 migrants had so far been rescued, leaving some 250 of the passengers still missing. Earlier this week, another 13 migrants drowned while trying to reach Sicily. UNHCR estimates that in 2011 alone, 1,500 migrants died trying to reach Europe from Libya. Ban and several other speakers at the meeting referred to the latest tragedy as further evidence of the need to commit to addressing the challenges arising from migration, particularly as the political climate in many countries remains hostile to migrants. Goldin cited a World Bank study that found that changes in national migration policies that increase the flow of migrants even minimally bring significant economic benefits to sending and receiving countries, in addition to transforming the lives of individual migrants and their families. But both Goldin and Ban, in his list of recommendations, highlighted the need to strengthen the evidence-base on the positive benefits of migration as one way to combat the political rhetoric that fuels negative perceptions of migrants. Much of the discussion on the first day of the meeting made a case for incorporating migration into whatever new set of goals replace the Millennium Development Goals (MDGs), which are due to expire in 2015. One compelling reason why migration matters for development is the estimated US$550 billion that migrants remit to their families back home annually, according to the World Bank. The figure is more than three times higher than global aid budgets but could be larger still if transaction fees, which are often exorbitant, were lowered. However, at a side meeting devoted to how to incorporate migration into the post-2015 agenda, speakers warned against framing migration and development as a purely economic issue. While there is a greater understanding of the role migration plays in contributing to development now than in 2000, when the original MDGs were formulated, several speakers also pointed out that many people still view migration as a threat rather than a boon to development. The migration community has come late to the debate over the post-2015 development agenda, and there is unlikely to be a stand-alone goal associated with migration. Deputy Director General of the International Organization for Migration Laura Thompson advocated instead for trying to incorporate migration and the rights of migrants into a series of existing goals. “This would reflect the reality of migration as a cross-cutting issue,” she said. Kenya: Gains from World Bank funded Lake Victoria Environmental Project. Communities living along the shores of Lake Victoria are now gaining hugely, thanks to the support they are receiving through the World Bank funded Lake Victoria Environmental Project. In Nandi in the rift valley and Nyando in Nyanza, the locals have ventured into massive tree planting as a way of environmental conservation and the results are impressive. A part from reclaiming most of the forest cover that was cleared and turned into farmlands, the residents are now reaping huge benefits from the sale of tree seedlings from nurseries so far established through LVEMP’s support. The multimillion project which began in 2010 is targeting the implementation of two main broad objectives in its collaborative approach to management of shared natural resources within Lake Victoria Basin. Working with selected community groups which have been undertaking activities targeting to reduce environmental stress within the basin, LVEMP is also sponsoring activities aimed at changing the livelihoods of the communities. The regional project is implemented by all the five member states of the east African community. It is undertaking its activities through the government led agencies who offer technical support to the benefiting groups in selected catchment areas. In Kenya it is targeting the river Nyando basin and along the shores of Lake Victoria. According to LVEMP’s national project coordinator madam Francisca Owuor, so far a total of Ksh 116 million has been disbursed to 114 community groups in areas covered by the project. It is expected that before the project end in 2015, a total of 240 groups will have been supported. Speaking at the close of a week-long field excursion organized by LVEMP 2 and attended by twenty journalists from various media houses the coordinator disclosed that Ksh 400M will be spent in the community driven development activities. She told the journalists that LVEMP has also approved proposals from 225 groups and funding for them is underway. However, 111 groups whose proposals were approved are yet to be launched to begin implementation of various activities because they are still undergoing environmental impact assessment by the national environmental management authority. The benefiting groups are those that were already doing something to protect the environment and at the same time engaging in livelihood changing activities. Most of the groups are for example , engaged in tree planting along the river banks, other s are controlling soil erosion by laying soil conservation structures like gabions and erection of terraces among others. Apart from conserving the environment, they are also fully embracing commercial agriculture. Some communities have established tree nurseries through the financial support offered by LVEMP while others are keeping dairy animals and keeping bees. In the North rift, areas around Nandi Hills, in Nyando and Homa Bay counties, communities are now planting millions of trees in their farms and along the river banks. They are also protecting water springs by planting bamboo and other tree species that protect the water towers. The project was necessitated by the realization that Lake Victoria which supports an estimated 30M people either directly or indirectly was facing huge environmental challenges and the stress was linked to unfavorable human activities within the basin which needed to be reversed. Water levels in Lake Victoria were alarmingly low due to silting because of poor farming activities upstream, quality of the lake water s was greatly compromised as a result of pollution, aquatic immensely interfered with and so there was urgent need to reverse this trend. COLOMBO, – One way Sri Lanka can better manage its water resources in the face of changing monsoon patterns is through centuries-old water reservoirs, experts say. Experts at the Colombo-based International Water Management Institute (IWMI) say one way to ease fluctuating rice harvests (due to increasingly erratic monsoon seasons) is to use thousands of ancient small irrigation reservoirs spread out in the Northern, North Central, Eastern, North Western and Southern provinces. “Tanks [reservoirs] can store water and so are buffers against irregular rainfall supplies,” said Herath Manthrithilake, the head of the institute’s Sri Lanka Development Initiative. The reservoirs were built between 300 and 400 BC to provide nearby villages with water for agriculture and other needs. They became less important with the introduction of rain-fed cash crops by European colonizers in the 1500s and have been largely untouched since the 1970s with the development of large irrigation and hydropower schemes. The tanks were constructed by excavating earth and building a large wall around the hole. Most tanks have filled up with sediment, others are hidden by overgrown shrubs or belong to dilapidated networks connecting them to the fields. There is no current estimate, but in 2004 the then government estimated that it would cost some US$20 million at the 2004 exchange rate ($15 million now) to make the tanks functional. IWMI research has shown that reservoirs can also divert flood waters to the old tanks built on low-lying land, helping to minimize flood damage. Manthrithilake said a major renovation of thousands of such reservoirs (estimated by researchers to number some 12,000) should be launched if they are to be used effectively. Some 1,000 tanks were repaired in 2004, with no additional repairs planned since then. “Managing the water resources will be crucial. The monsoon, our main source of water, is changing, forcing us to change the way we use our water resources,” Waduwatte Lekamlage Sumapthipala, formerly the head of the Climate Change Unit at the Ministry of Environment and currently a government adviser, told IRIN. A recent World Bank report warned the island’s dry regions are likely to experience less rain while wet zones are at risk of even more deluges. “The seasonal distribution of precipitation is expected to become amplified, with a decrease of up to 30 percent during the dry season and a 30 percent increase during the wet season,” the report predicted. Late 2012 and early 2013 floods affected more than one million people nationwide, while a 2012 drought hit an estimated 1.3 million residents. A survey of flood-affected communities conducted by the Sri Lanka government and the World Food Programme in January this year found 75 percent of the 557,000 people surveyed were either severely food insecure or borderline food insecure. Of those surveyed, some 33 percent said their main income was through agriculture. Rice production has been at the mercy of increasingly unpredictable monsoons in the past three years. In 2011, large harvest losses, around 20 percent of the main harvest, were recorded due to floods. But the harvest recovered to an extent in mid-2011 when rain-fed irrigation helped to produce a higher-than-average secondary harvest (the country has two harvests annually). During 2012’s drought the second annual rice harvest fell by up to 10 percent. However according to the latest country assessments by the UN Food and Agriculture Organization, the rice harvest is expected to recover this year, and is likely to be above four million tons for the first time since 2009. “The problem is the prices keep going up and down when the harvest falls and picks up. When we don’t have means to keep prices steady, we should look at keeping the harvest steady,” said Liyana Pathirana Rupasena, the deputy director of research at the governmental Hector Kobbekaduwa Agrarian Training and Research Institute (HARTI). His concern is that poorer communities will cut back on calories or go for rice varieties that are cheaper but less nutritious during price hikes. Rupasena said despite predicted harvest increases, rice prices are still higherthan in 2011 and 2012. In addition to destabilizing rice production, water management problems have hit the country’s energy supply. Sri Lanka typically generates around 40 percent of its electricity using hydro generation. During August 2012 when the drought was at its worst, hydro-generation barely reached 15 percent; the remaining power was generated through costly thermal sources, which forced the country to spend heavily on oil imports, according to the state. The 2012 oil import bill for thermal power was around US$2 billion, around a tenth of what Colombo spent on imports for the entire year. Heavy rains in 2013 have once again boosted hydro-generation to nearly 80 percent. According to Tilak Siyambalapitiya, an energy expert based in Colombo, energy authorities should keep a close watch on the monsoon and emerging climate trends. He said pre-ordering oil stocks to face a potential loss in hydro capacity could save millions in foreign exchange fees. “Right now the capacity of the reservoirs is totally dependent on the rainfall. There is hardly anything done to manage the water effectively once it’s in the reservoirs,” he said, referring to the reservoirs’ lack of maintenance. The hope is that the pre-historic tanks can help ease demand for water from the nine main power-generating reservoirs, which farmers currently draw from for cultivation. Is the future of food aid threatened? JOHANNESBURG, – By the end of the next decade food security could deteriorate in some of the world’s poorest countries, according to a recent global forecast by the US Department of Agriculture (USDA). By 2023 the number of food-insecure people is likely to increase by nearly 23 percent to 868 million (at a slightly faster rate than projected population growth of 16 percent), said USDA’s Economic Research Service which focused on 76 low- and middle-income countries classified by the World Bank as being on food aid, experiencing food insecurity, or as having experienced it. In countries most likely to see a significant rise in the number of food-insecure people, such as Malawi and Uganda, the production and import of food will not be able to keep pace with population growth. Despite improvements over the years, sub-Saharan Africa is projected to remain the most food-insecure region in the world. In the past decade global food aid, including the amount making its way to sub-Saharan Africa, has been on a downward trend. Only 2.5 million tons reached sub-Saharan Africa in 2011, whereas during the decade as a whole it ranged from just under three million tons to just over 5 million tons, according to USDA, citing World Food Programme (WFP) data. The face of food aid has also begun to change. In the past decade, “food aid” has begun to evolve into “food assistance”, which includes help provided in the form of cash and vouchers for people in need. This can save millions of dollars in transportation and storage costs. By 2015, WFP, the world’s largest food aid agency, expects almost a third of its assistance programmes to be delivered in the form of cash, vouchers and new kinds of “digital food” through smartcards and e-vouchers delivered by SMS. Between 2008 and 2011, the number of WFP cash and voucher projects increased from five in 2008 to 51 in 2011. In that year WFP set aside US$208 million for distributions using cash or vouchers, but still spent over one billion dollars on food. 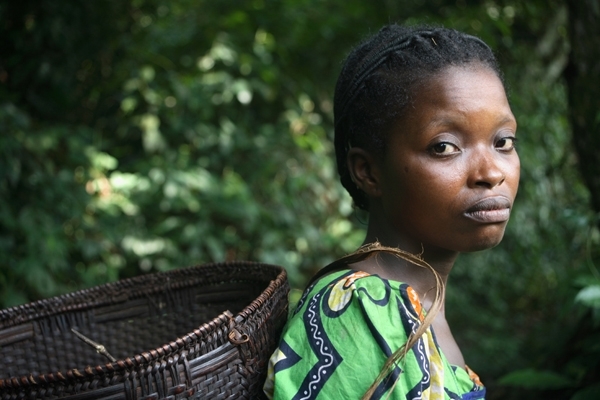 IRIN asked some of the world’s leading experts to speculate on the future of food aid. Crises that drive the need for food aid are either man-made (conflicts, economies in crisis) or natural events (droughts, floods, earthquakes) or a complex mix of both, which might test people’s resilience and make them chronically dependent on assistance. People need different kinds of aid in different situations. If food is not available in a flooded area, actual food supplies are the answer. In the case of chronic shortages, experts suggest cash or vouchers, integrated into a broader social protection system, might be the answer. Eric Munoz, senior policy adviser with Oxfam America, said he would add food price volatility to the mix: A changing climate, causing disruptions in “production in major exporting countries and damaging crops in fragile agriculture markets will add to this volatility”. Escalating costs of transporting food, lower quantities of surplus production to dispense as food aid, and the complex nature of crises have forced more donors to widen their choice of response from exclusive food aid to cash transfers and vouchers. “Non-emergency food aid as we have known it will disappear but the core functions will continue, both because growing demands for emergency response will gobble up the modest international food assistance budgets available, and because school feeding, maternal and child health and nutrition programs, smallholder development, and other programs will get absorbed within the broader development programs that donors fund,” said Barrett in an email. He also believes more countries which used to rely on food assistance will “develop their own effective safety-net programs (whether through employment guarantee schemes, conditional or unconditional cash transfers, unemployment or agricultural insurance, etc.)”. WTO rules hamper food security? Food insecure countries’ reliance on “markets, and thus on local and regional suppliers, will continue to grow,” said Barrett. This could happen especially if a World Trade Organization (WTO) agreement is reached in the next 10 years, he said. The WTO Doha Development Round of negotiations (begun in 2001) on a new agreement that could help reduce the number of poor people in developing countries, has been in stop-start mode for some years. The talks are aimed at reducing global barriers to market access, including for agricultural produce. Olivier de Schutter, the UN Human Rights Council’s special rapporteur on the right to food, believes current WTO rules are hampering poor countries’ efforts to become food secure. Timely food aid interventions save lives, “but protracted relief interventions (such as those widely implemented by WFP in many countries) are a distorted way of maintaining food assistance in circumstances where it is no longer necessary or adequate,” said José Luis Vivero Pol, an anti-hunger activist with Université Catholique de Louvain in an email. “But food aid is a good business for many companies and international institutions,” and he expects that to continue. Funds, he wrote, flow “easier and faster [for] food aid than for food security for resilience”. Will the traditional donors remain? Will the US, the world’s largest food aid donor, be able to finally reform its food aid system which is designed to benefit its farmers and transport sector? President Barack Obama’s efforts to end the link between supporting US farmers and international food aid by removing food aid programmes from the US Farm Bill and placing them under “foreign assistance”, among other radical reforms, were rejected in June. Oxfam’s Munoz reckons there will be “greater interest” from emerging economies in providing assistance. “The recent renegotiation of the Food Aid Convention seemed to recognize this with some creative thinking about twinning arrangements – food from one country paired with funding from other countries to cover expenses like shipping and handling.” Recently a new Food Assistance Convention replaced the Food Aid Convention of 1999, which expired in 2002 but was repeatedly extended. KATHMANDU, – In Nepal, where rugged mountainous terrain isolates millions of people from life-saving health care, markets and education, experts say the country’s roads are in sore need of more focus and investment. Nepal has built about 7,000km of roads nationwide over the past decade, according to the World Bank, but this still leaves more than half the population without access to all-weather roads in a country where millions struggle to reach safe, nutritious food, and which ranks as one of the world’s worst places for a child to fall ill (out of 161 countries evaluated by NGO Save the Children) due to women’s and children’s poor access to health care. Nearly half of Nepal’s 27 million people live in rugged hill and mountain areas. People living in the mountains (roughly 7 percent of the population) report some of the weakest development indicators nationwide. The national average for children under the age of five who are chronically malnourished is 41 percent; this figure exceeds 60 percent in the mountains. According to a 2010 report by the World Food Programme (WFP), transportation costs are the most significant factor for food prices in the mountains, and road access the primary determinant of those costs. Furthermore, food wasted in transit due to lack of roads, or poor quality ones, can impact the market value of agriculture products. According to recent market indicators, a kilogram of coarse rice that costs the equivalent of 39 US cents in Kathmandu, can cost three times that amount in mountain markets of Dolpa District (in western Nepal’s Karnali Zone) that lack road access. Though Nepal has 23,029km of roads and construction is steadily increasing, experts are calling for not only more roads, but also quality ones. According to the government’s most recent Nepal Living Standards Survey in 2011, Nepalis living in rural areas – especially in hills and mountains – report roads in their areas are unsatisfactory. Only 12 percent of Nepalis, including those living in urban areas, consider the roads where they live “good”. Just 42 percent of Nepal’s roads are blacktopped, with the rest a combination of gravel, which can survive some harsh weather, and earthen, which can wash away during seasonal rains, government figures show. Travelling across difficult terrain has been cited by HIV service providers as one reason patients fail to adhere to treatment regimens. Due to the lack, or poor quality, of roads in rural Nepal, maternal healthcare facilities may be more than a day’s walk away which, practitioners say, can be deadly. “If women can’t get to a healthcare facility in time, they either die or have a fistula,” Shirley Heywood, a gynaecologist who has been working in rural Nepal for a decade with the International Nepal Foundation, told IRIN. Obstetric fistula is a condition caused by prolonged and obstructed labour resulting in a hole in the birth canal which leads to continuous leakage of urine. According to the UN Population Fund an estimated 4,602 women in Nepal are living with fistula; there are up to 400 new cases annually. “I have had patients who are carried for more than two days to us for fistula treatment. I hear all the time how we need to increase capacity for fistula surgery in Nepal, but I don’t think that’s the whole picture – access is a huge issue, and roads are a vital part of that,” Heywood said. Analysts have also pointed to the lack of reliable road access as a factor inweak education achievements, including the 35 percent of Nepalis who remain illiterate. “Roads connect people to markets, which has shown improvement in local economies,” Marco Cavalcante, head of programmes for WFP in Nepal, told IRIN. Research has shown that roads benefit farmers by slashing transportation and farm-to-market time periods, meaning that with less food wasted during transit, more can be sold at market. The World Bank and UN Food and Agriculture Organization have identified well-constructed and well-maintained roads as a crucial aspect of creating an “enabling public environment” for development and a safeguard against food wasting. But, Cavalcante pointed out, there are other benefits that come with roads reaching people. “There is also a social protection component. People connected by roads can access a better life – hospitals, ideas, technologies. It’s not always quantifiable,” he said. “Road building opens a two-way process,” said Cavalcante. “Once the road is complete, people have access to markets, and modern commodities and technologies and ideas have access to the people,” which may have unexpected negative impacts, warn experts. “Outside influences change major aspects of peoples’ lives, and they can be a shock to the system,” said Jagannath Adhikari, an agricultural scientist and author of several books on development in Nepal, adding that villagers in Nepal’s Far West region had told him they noticed their children became more popular as marriage prospects once their village was connected by a road. A debate in 2012 over the introduction of Monsanto-manufactured hybrid maize seeds in Nepal spotlighted issues of local ownership and the influence of subsidized foreign products on rural farmers. He added it is crucial that road development is coupled with education to prepare communities for access long denied. “Just because isolated villages might have better nutrition indicators doesn’t mean we shouldn’t build roads to them – it means the government should have strong education programmes and policies to regulate corporations that want to sell products all over the country to newcomer consumers,” he concluded. WFP Nepal runs small agriculture and business development projects in communities, simultaneous with road construction, to prepare them for their new levels of access. For WFP “roads are not a panacea,” but rather one component in developing markets, livelihoods and food security – as well as options. “In the past, a sick person’s family would need to appeal to local political leaders for a loan to pay for a plane ticket to Kathmandu or even just to schedule the flight, now they have a road – there’s competition, there are options,” said Adhikari, the agriculture scientist. Recent reports from Jumla, a remote district in Karnali region, chronicled the decline in demand for donor-delivered rice. Officials attributed the change to the district now being connected to a road, which has created competition by boosting consumer access to other products. The Congolese government will today announce plans to move forward with the Grand Inga Dam at a conference in Paris. World Bank President Jim Kim is expected to support the return to mega-dam projects in Africa during his visit to the Democratic Republic of Congo (DRC), Rwanda and Uganda on May 21-24. The proposed dam on the Congo River – which would be the largest hydropower project ever undertaken – will figure prominently on the agenda of his trip. NGOs warn that with such projects, donors are about to repeat the grandiose failure of past mega-dams. International financiers have invested billions of dollars in the Inga 1 and 2 dams and transmission lines on the Congo River over the past 40 years. The projects produce power primarily for the mining industry, while only 6-9% of the country’s population has access to electricity. The new dams proposed for the Congo River are again designed to serve the mining industry and export markets in South Africa, and would bypass the rural poor in the DRC. “If the World Bank and other donors plunge back into large hydropower in Africa, the majority of Africa’s poor will remain without power, at a time when better solutions are available,” says Rudo Sanyanga, Africa Program Director of International Rivers. “We hope that Jim Kim’s Presidency will be associated with a break-through of energy solutions that reduce poverty, address climate change and protect the environment, rather than a return to the failed mega-projects of the past,” says Sanyanga. The Bank announced its intention to return to funding mega-dams in Africa – including Inga on the Congo and also Batoka Gorge and Mphanda Nkuwa dams on the Zambezi – in a report for the IDA 17 negotiations and a recent media story. The governments of the DRC and South Africa will announce their plans to move forward with the Inga dams in Paris on May 18. OUAGADOUGOU, – Earlier this year Denis Ouedraogo, a tailor living in the Tampouy neighbourhood just north of Burkina Faso’s capital Ouagadougou, connected his mud-walled home to the water network for the first time. “Even without electricity, having enough water can make you happy,” he said. He is among 1.9 million people to have connected to the government water grid since 2001, thanks to major changes in how the National Office for Water and Sanitation (ONEA) delivers water to urban Burkinabés. In 2001 just 73,000 Burkinabés could access clean water, according to research by Peter Newborne at the Overseas Development Institute, which is trying to track and communicate examples of progress on development. In 2002 just half of Burkina Faso residents had access to clean water. In 2008 (the latest statistics available) this had risen to 76 percent – 95 percent in urban areas. The plan was to reach the Millennium Development Goal (MDG) to double the number of those with access to clean water, in this case to 87 percent, by 2015. Those tracking water, sanitation and hygiene (WASH) progress in Burkina Faso, say the goal will be surpassed. A number of factors made this possible: ONEA was nationalized and restructured in 1994 following a period in which it had become unprofitable and poorly functioning. The new national company ran along commercial lines, instilling a culture of performance and efficiency, said Newborne. The second priority was to find a bulk water supply, in this case by building the Ziga dam 45km from the capital. A mixture of government grant funds (from France and other European donors) and concessionary loans at low interest rates (predominantly from the World Bank), provided the required finances. This helped them bring costs down: for instance, connecting to the grid now costs a household US$61, down from on average $400 in the 1990s, according to ONEA’s chief operating officer, Moumouni Sawadogo. Next came the work: building a network of pipes throughout Ouagadougou, including in the city’s unzoned [unplanned] suburbs, which house one third of the capital’s residents and had hitherto been overlooked in terms of household water supply. “Even in non-zoned areas, people can pay their water bills,” said Halidou Kouanda, head of NGO Wateraid in Burkina Faso, citing a 2011 ONEA study noting that financial recovery rates in unzoned neighbourhoods were 95 percent. Now, with a steady income and an 18 percent leakage rate, ONEA is one of the best-performing water utility companies in sub-Saharan Africa, according to the World Bank. While targeting unzoned areas upped the percentage of urban dwellers who could access clean water (thus helping to meet the MDG), it did not ensure that water was affordable. Now ONEA needs to try to target the poor, as it pledged to do in an initial equity strategy agreed with the Ministry of Water and Sanitation. As part of its strategy, ONEA built 17,290 wells and standpipes for some areas without household-level connections. Water from a standpipe costs 60 CFA (11 US cents) for a 220 litre barrel (transported on wheels). But the very poor cannot afford such barrels, turning instead to water vendors who sell the same amount for 200-500 CFA (40-98 cents) depending on the season. Thus paradoxically, the poorest families pay up to eight times more than others for their water. ODI is discussing different pro-poor targeting methods that might work, including: subsidizing part of the water supply for certain households; targeting poor areas; allocation by housing type; means-testing; community-based targeting; or self-targeting. At the moment, all households are charged the same connection tariff. “Is this equitable? We think not,” said Newborne. “You could means-test it; you could waive the connection charge for some; or charge the first X cubic metres at a different rate,” he suggested, adding that lower-income households could pay bills weekly or on a pay-as-you-go basis, to keep track of costs. “Think of how mobile phone companies have fixed their pricing plans to be accessible,” he said. The concern is that households who experience running water for the first time may use more than they can afford, then falling behind and drop off the grid, said WaterAid’s Kouanda. This happened to 6.8 percent of Ouagadougou’s ONEA customers in 2009. Families must be made aware of this risk, said Kouanda. But many customers are so nervous of this happening, that they practice their own careful monitoring. Ami Sidibé, who lives in Somgandé neighbourhood, which was connected to the water mains three months ago, said she continues to fill jerry cans – using tap water – to monitor her household’s use. “I’ll do anything to avoid returning to the situation before,” she told IRIN. No studies have yet been published linking the spread of the water network with the incidence of disease, but some Somgandé residents who were recently connected to the grid said their children were falling sick less frequently. Water-borne illnesses are among the top five reasons for children’ health visits, according to the Health Ministry. Future challenges will include how to extend such networks to rural areas, which are currently under-serviced in terms of clean water: 72 percent of rural Burkinabés access clean water, versus 95 percent of city residents. The local authorities are responsible for rural water supply under Burkina Faso’s decentralized governance system. According to a just-published report Progress on Sanitation and Drinking Water 2013 Update by UNICEF and the World Health Organization, striking disparities remain between rural and urban water access, with rural communities making up 83 percent of the global population without access to an improved water source. Norway and Tanzania have signed an agreement under which Norway will provide NOK 700 million to Tanzania over a four-year period. This funding will be channelled to a rural energy fund in Tanzania that will give people in rural areas access to electricity. “Access to electricity is essential for reducing poverty and generating economic growth. Providing electricity in rural areas is a way of giving the majority of the population in Tanzania the freedom to choose not to use paraffin, diesel and other less reliable energy sources that are damaging to health. Electricity provides light for doing homework and opportunities for creating jobs and generating income, and enables health clinics to function better,” said Minister of International Development Heikki Eidsvoll Holmås. Mr Holmås and Tanzanian Minister of Energy and Minerals Sospeter Muhongo signed the agreement in Oslo on 9 April. Both of them were taking part in the High Level Meeting on Energy and the Post-2015 Development Agenda. In Tanzania, eight out of ten people live in rural areas. Of these people, only 6 % have access to modern forms of energy. Increasing access to energy will take many years and will require substantial public subsidies. The rural energy fund is the Tanzanian authorities’ most important tool in this context. The fund will be managed by the Rural Energy Agency (REA). Sweden, the World Bank and the EU are also supporting the fund. Norway will now be the biggest single donor to the fund. “Increased access to electricity is absolutely essential for ensuring equitable development in Tanzania. Having said this, it is difficult to achieve. Those who use electricity have to pay for it themselves. We will keep a close eye on the quality of individual projects, as well as making sure that necessary reforms are carried out, that the Rural Energy Agency has sufficient capacity and that any threats to sustainability are addressed,” Mr Holmås commented. So far, more than 90 % of the investments in the fund have gone to expanding the electricity grid, as this is the most effective way of reaching rural areas. But the funds from Norway will also be used for local solutions enabling the production of renewable energy in areas that are not covered by the electricity grid. Tanzania’s aim is to increase the percentage of the population that has access to electricity from 14.5 % to 30 % on a national basis, and from 6.5 % to 15 % in rural areas, by 2025. In order to achieve this, investments in the rural energy fund will probably need to increase tenfold. “Tanzania aims to become a middle-income country in the space of 12 years. We will gradually scale down our assistance to the country as this process proceeds. Increased access to electricity is absolutely essential if Tanzania is to achieve its goal. In order to succeed, Tanzanians must think big and improve their systems over and above the individual project level. The agreement between Norway and Tanzania is divided into two phases to ensure that the quality of projects is as intended and that the efforts to bring energy to the rural population progress according to plan,” Mr Holmås said.